It’s nice to meet you. My name is Kanou, and I’m a brand new engineer who just joined the company as a new graduate this year (at AMATA as a Challenger hire). I would like to tell students who are job hunting about the appeal of AMATA. 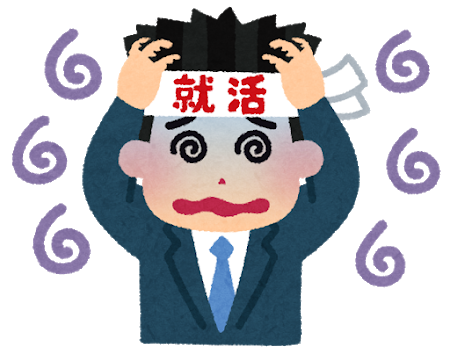 …The reason I decided on this sort of topic is because last year I was job-hunting too, but I had quite a difficult time. I have a lot of regrets. I dare say there are many people having trouble with job-hunting like I did. To begin with, I personally believe that many of the people reading this blog might be those who are job-hunting. I would like to introduce AMATA to those people. Firstly, I will introduce two things I recommend about AMATA, which I’m able to do precisely because I have experienced making mistakes in my job hunt. When seeking employment in the game industry, I believe there are places which don’t inspect your work, but the creation of work is essential, isn’t it? At most other companies, if you fail once, you won’t be accepted. However, at AMATA, even if you don’t pass, as long as you have new work and documents, you can try as many times as you like. That’s how carefully they look at your work. When I was a student, I saw a number of people who weren’t confident in their work and were hesitant to apply, but please start by applying. At AMATA, we will evaluate everyone’s efforts carefully. This is personal, but when I first started job-hunting, the screenings for companies I had applied to were going well so I wasn’t being very proactive in my job hunt. However, I failed to pass the final interviews of those companies and as a result it wasn’t until July that I got really serious about job-hunting, which is something I really regret (by then, applications for a lot of companies had already closed, and I was thrown into despair). AMATA recruits year-round, and because you can try again, as I mentioned above, it was very appealing to be able to apply at my own pace. I’m writing this article in July, but you can still make it in time. With AMATA, there’s a chance even for those who got a late start like me. Above, I have listed the appeal in terms of employment. If you are interested, please make sure you visit the employment page. This is a digression, but I handed out something like a business card to AMATA at a school job-hunting presentation. I handed it out long before I applied to AMATA, and I thought I had been forgotten, but the staff from human resources had been looking after it carefully (they showed it to me at the time of my interview, and again a few months after I joined the company. How embarrassing…) The way in which AMATA recruits proactively like this, cherishing their interactions with each student, is another appealing thing about them. To be honest, I don’t have any regrets at all… that’s a lie, I apologize. I made mistakes, but I am grateful that, thanks to these mistakes, I came across AMATA. I will introduce two of AMATA’s good points. They challenge you to various things. At first, I don’t think you’ll understand anything, but various people will support you, starting with your trainer. I have learned various things since joining the company. A few months have passed since I joined the company, but I am constantly aware of this. The employees are all good people. The atmosphere is also one in which it is easy to ask questions if you don’t understand something. In my case, I really appreciate the fact that although they are busy, all the engineers from the same project carefully review the code I have written. I’m sorry this is a simple explanation. Newcomer blogs written by my contemporaries discuss things like AMATA’s good points and what they have done after joining the company in more detail. Everyone writes good articles, so please have a look there if you are interested. Finally, I can declare that AMATA is a really good company. I don’t know when this article will be posted, but I think it’ll soon be that time when you’re starting to feel flustered and it’s tough. Please do your best, and don’t give up. I’m glad I didn’t give up either. I’m also looking forward to having the students who are job-hunting and reading this article be my juniors. I will also do my best to work every day to make everyone proud of me.